NICKEL FREE & ADJUSTABLE ANKLET ! In Recognition Of "Women's Or Children's Heart Disease"
Exclusively Ours! An Allan Robin Design. Our Adjustable Anklet And Charms Comply With All Laws, Lead, Nickel, & Cadmium Free!! 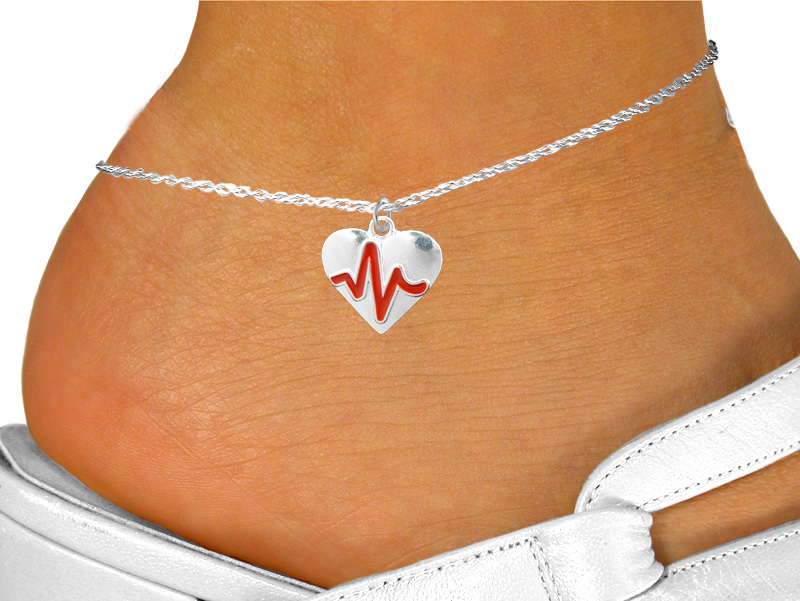 Detailed Silver Tone "Heartbeat" Charm On A Adjustable Anklet.